I got this thing in the mail today. What’s even sadder is, I was kind of excited about it. 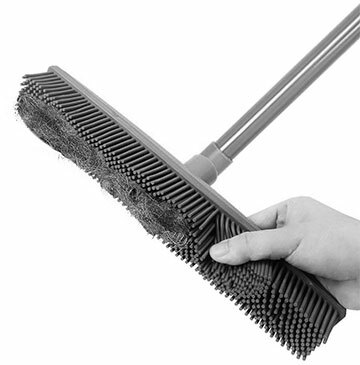 It’s a rubber brush, good for tweezing cat hair out of carpets. So I’m told. I’ve been reading ‘helpful housecleaning tips’ websites. Which is pretty seriously out of character. Have I mentioned my cousin is coming to visit in a few weeks?